Dreaming of curbs: The Embarcadero, San Francisco. Maybe nowhere in the United States is there more biking potential than California. Temperate, sunny and frequently clogged with cars, the country’s most populous state could easily be home to millions of regular bike commuters. One of the reasons that hasn’t happened is that Caltrans, the state’s unusually powerful department of transportation, for years effectively blocked construction of comfortable, protected bike lanes. Last year, the state’s legislature passed the Protected Bikeways Act of 2014, removing the de facto blockage and telling Caltrans to create statewide standards for protected bike lanes. Now, with the support of Gov. Jerry Brown and Caltrans Director Malcolm Dougherty, the agency is following through with such enthusiasm that it’s drawing praise from bikeway design pros. One milestone will come on May 27, when Caltrans hosts a “Class IV Bikeway Summit” in Sacramento. The agency has also launched a public survey so practitioners can advise the state on what its new standards should look like. Dan Allison, a biking advocate based in Sacramento, was less optimistic. He worried that the survey didn’t seem to address bicycle signalization, for example. Still, Allison said he plans to attend next month. “I don’t know what’s going to happen,” Allison said. Williams, for his part, said California’s progress can be a lesson for biking advocates in other states: even when state agencies seem like obstacles, legislative action can sometimes be the answer. 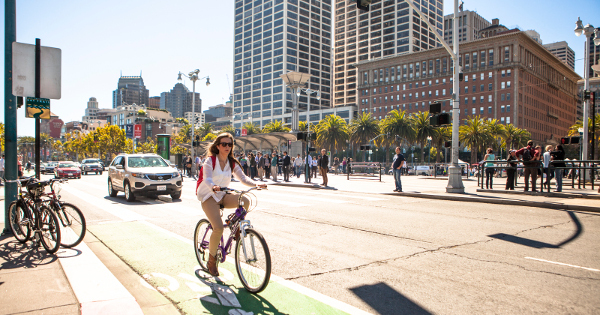 > Better biking takes center stage in call for California transportation ?overhaul? > As protected lanes take off, will California fall behind?